Lots of travel used to mean ungainly rockers, unsightly pivots and a clunky appearance. Not any more. 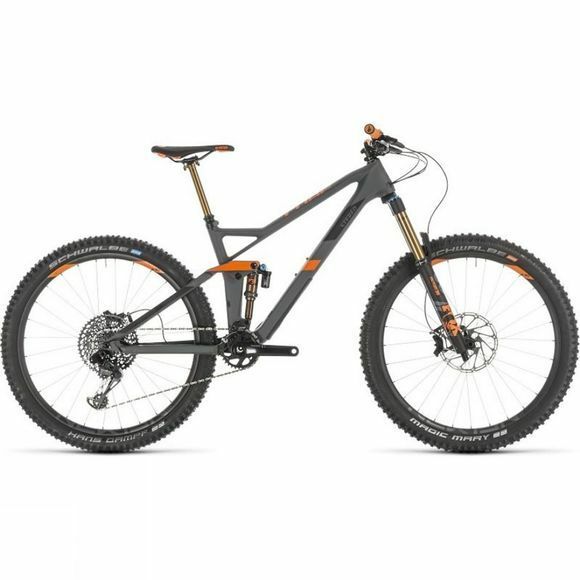 The Stereo 140 HPC TM 27.5 doesn't just ride better than many bikes in its class, it's also one of the most elegant frames Cube have ever made. Boasting a full carbon front end and carefully crafted aluminium rear triangle, our engineering team went out of their way to make it look as good as it rides. That's why the pivots are hidden away, the rocker is short and all the cables are routed internally. 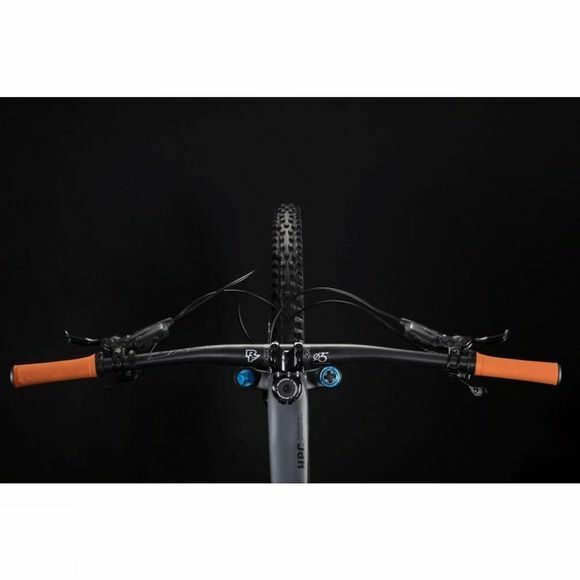 The Boost 148 rear end, massive down tube and tapered head tube mean super-accurate steering and instant power transfer, while shorter chainstays, a longer top tube and a head angle designed specially for a 150mm fork all add up to the kind of razor-sharp, rock-solid handling you'd expect from Cube. Headset–FSA Orbit I-t, Integrated, Top 1 1/8", Bottom 1 1/2"